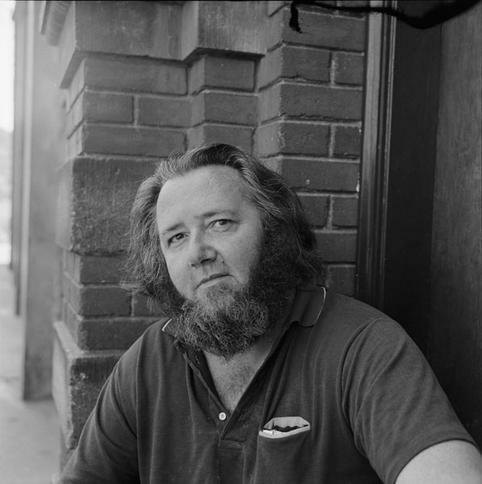 In June of 1981, Ted Berrigan was writer-in-residence at 80 Langton Street in San Francisco. On the first night Berrigan read and talked about his first major book, The Sonnets. The second night featured a talk entitled The Last Word On The New York School, to wit: “If Bill Berkson is New York School, the rest of us are New York Reform School.” The third might was taken up with a panel convened to discuss the topic, “What Are You Making?” The final night consisted of Berrigan reading from recent work. This was a usual enough program at this south of Market emporium of avant-garde art & literature. Just below the surface however there seethed a conspiracy marked by jealousy, self-righteousness, and infantile anxiety. Berrigan’s opening remarks make it clear that he realized he was in the same fix as Caesar on the Capitol steps or JFK in Dallas when he spoke, “I stand in the dock in judgment, condemned. . . .” As the residency progressed attempts were made to discredit Berrigan and to undermine his position as a major figure in contemporary American poetry. There were two such coups de claques attempted, one on the evening of the talk and the other on the evening of the panel. To his credit, Berrigan ignored them both. At the end of his four days, he left the residency at 80 Langston Street with new respect from all but a very few. It is indeed unfortunate then that the final word on this important literary event has been left in the hands of the very few who could easily be deemed antagonistic toward the late great poet’s esthetic. 80 Langton Street, as part of its art program, commissions a descriptive narrative of each of its residencies and then publishes them in a yearly compilation in catalog format as documentation of the events. The 1981 edition features a description of Ted Berrigan’s that literally drips with condescension. If one is to believe the innuendo, Berrigan failed to live up to the pretentions of this arts organization’s over-ambitious expectations. Berrigan is “ambivalent” meaning that he would not be drawn into the obscurantist foolishness. Besides, only the pompous and pretentious would ever concern themselves with such things as “the public interchange among serious writers about issues in their work.” And since it was, after all, Berrigan’s residency, he was certainly free to call the shots. Then it is inferred that Berrigan disappointed the audience. Berrigan was not “straight-forward,” he had no “clearly-stated goals, interests or principles.” And, of course this was done purposely because “Berrigan does not care to articulate his poetic.” The veiled hostility of this paragraph is indicative of an attitude Ted Berrigan encountered during this residency. For the author of the document, and undoubtedly this is a collective opinion. Berrigan was not “text-book perfect” enough in his presentation. He was not pedantic enough to satisfy their anxious anality. He was too personal, relying on (horror of horrors!) autobiography to inform the audience of his intent. But then being Ted Berrigan was never having to say what you were expected to say. Hence he left himself wide open for such gratuitous judgments as “This is not to imply that this (the opening remarks) was wholly inappropriate” which serves to imply exactly that. He is also subject to pronouncements such as “Berrigan can never be more than an observer of his peer community exchange, no matter how important his work is, by the simple fact of age” and “The audience is being coerced into dealing with the theatrical nature of any public self-presentation.” It is very doubtful that anyone there felt that they were being coerced. As Berrigan himself said, “I’m not trying to impress anybody with my story, I’m just talking about myself to inform insights into my work.” Another judgment doubts the success of the residency: “Perhaps the choice of an historical, retrospective cast to the residence was a planning error.” To paraphrase John Cage: what plan, what error? This judgmental attitude is typical of the tiny minds that operate this petty little piece of poetry turf. Ted Berrigan was a great poet with a personal sense of his own importance, and rightly, a sense of his place in the pantheon of American poetry. This particular self-awareness was begrudged him as an egotistical affectation and was the cause of much resentment on the part of the envious few. He had a true sense of his own worth, and it was entirely unpretentious and honest. This very honesty and revealing self-appraisal is what is being attacked in this narrative as it was during the residency. Why, if for not some trivial, self-serving end, were these tactics even employed? There are not many poets who had such a sincere presence as Ted Berrigan. He was an artist whose belief in himself and his art was positively inspiring. He was his art and his art was him. Ted was continually barraged with demands that he fit his answers into a prescribed mode, that he get “intellectual” and come on like he had no emotional attachment to his own writing. Berrigan objected to the inferences that all writing could be fit into some preset linguistic formula as a test to its “rightness” or originality. He also admitted that “maybe newness isn’t all that important right now anyway.” He expressed the fear that some kind of moral litmus test was being devised by the so-called “language” school to root out and kill, literarily, those who did not prove positive, a possibility he alluded to as waiting to happen to him in the wings. He was bothered by the perceptible arrogance and closed minds of a particular faction who were attempting to restrict the field of poetic experience with gratuitous, qualitative judgments. “No mode is ever closed down or used up, only the writers who use them,” he said. The description of the final night should be quoted in full as an example of smug, condescending dismissal. “Berrigan gave a thirty minute reading before some 45 people the last night of his residency. After all the talk of the recent days hearing Berrigan’s mature and confident new poems reminded those of us in the audience of the reason we had gathered together. A master poet was up there, best alone reading his work. Considering the time spent plugging the esthetic of a bunch of tight-assed Protestant drones, the consideration given Ted Berrigan’s brilliant, triumphant final evening is unspeakable arrogance and insult. It is an attempt at literary assassination which with its repressive half truths almost succeed in making it seem that Ted Berrigan’s was a failure. Nothing could be further from the truth. 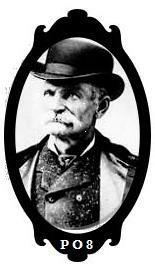 The Z-D Generation takes its name from Z-D GENERATION, a manifesto by poet Edward Sanders. 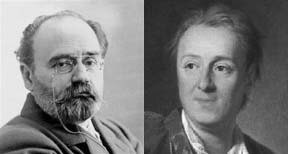 Taking Emile Zola and Denis Diderot as heroes of precise protest, accurate investigation, and intelligent infiltration, he names a new Generation capable of overcoming its enemies and organizing its energies, all in the interest of guarding life and creating a new civilization. 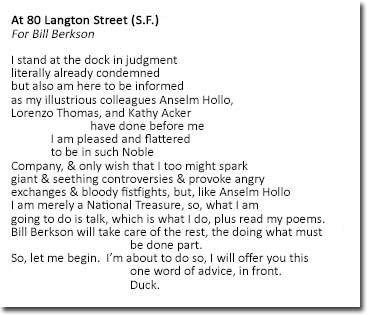 This entry was posted in Poetry, Poetry Society and tagged 80 Langton Street, Alice Notley, Andrei Codrescu, Black Bart, Denis Diderot, Ed Sanders, Emile Zola, Language School, Language Wars, Life Of Crime News Letter, Modern Poetry, New York City, outlaw poets, Poetry, Poetry Blogs, Poetry Lectures, Poetry Lessons, Poetry Society, Poetry Talks, Poets, San Francisco, Schools of Poetry, Steven Lavoie, Ted Berrigan, The New Black Bart Poetry Society, The New York School. Bookmark the permalink.